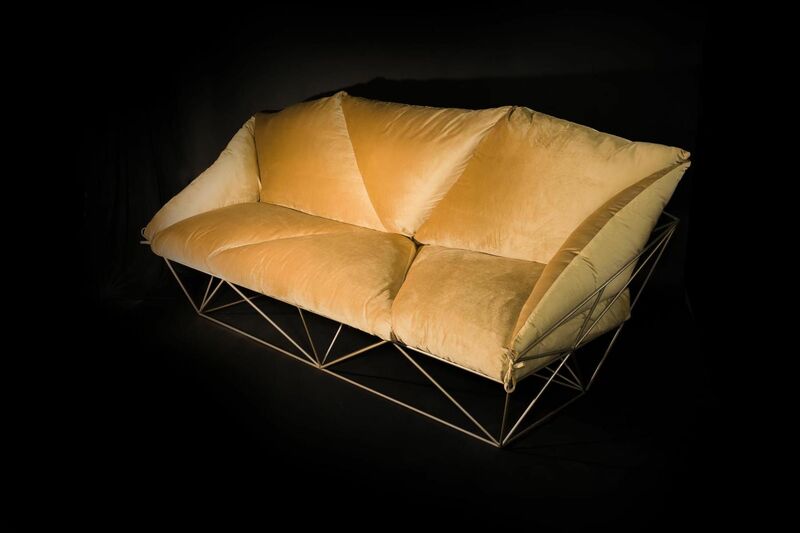 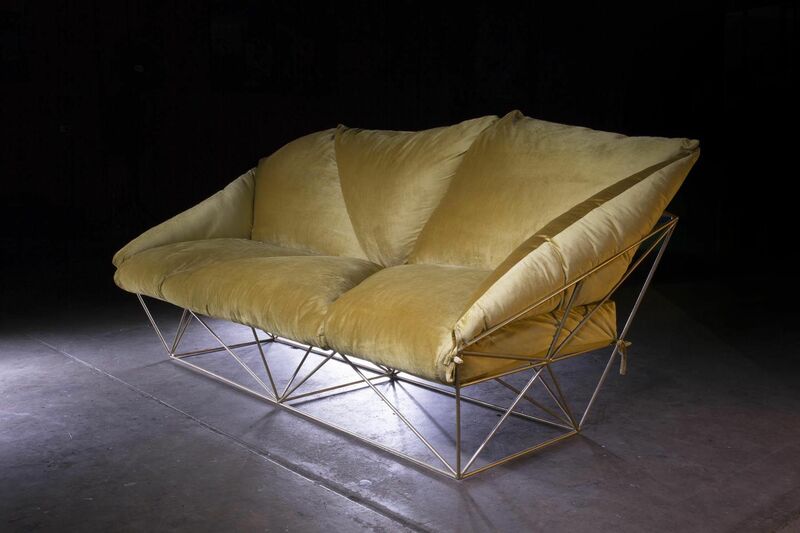 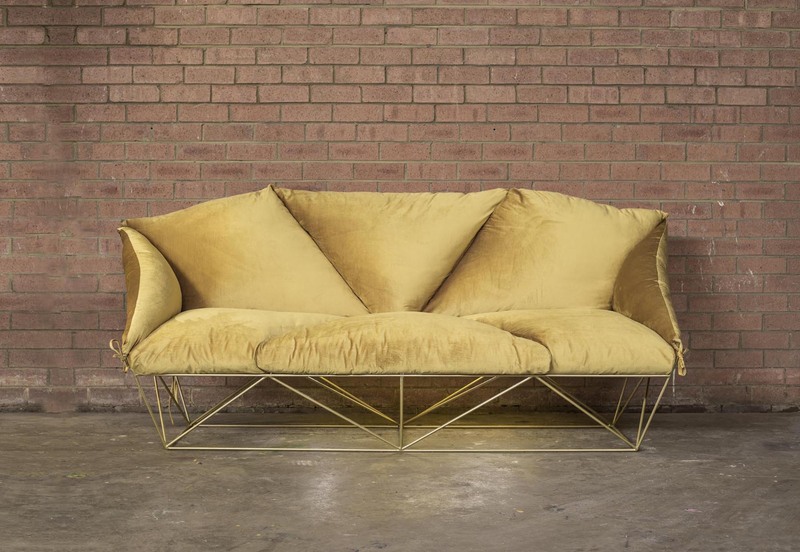 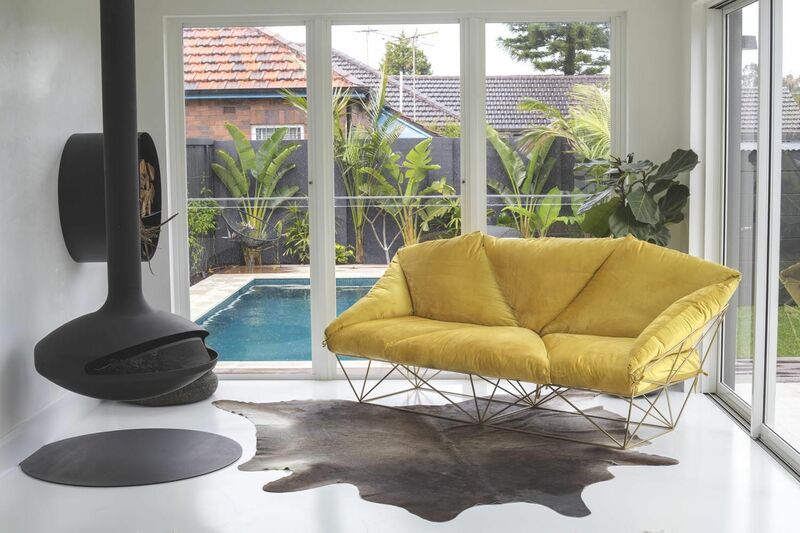 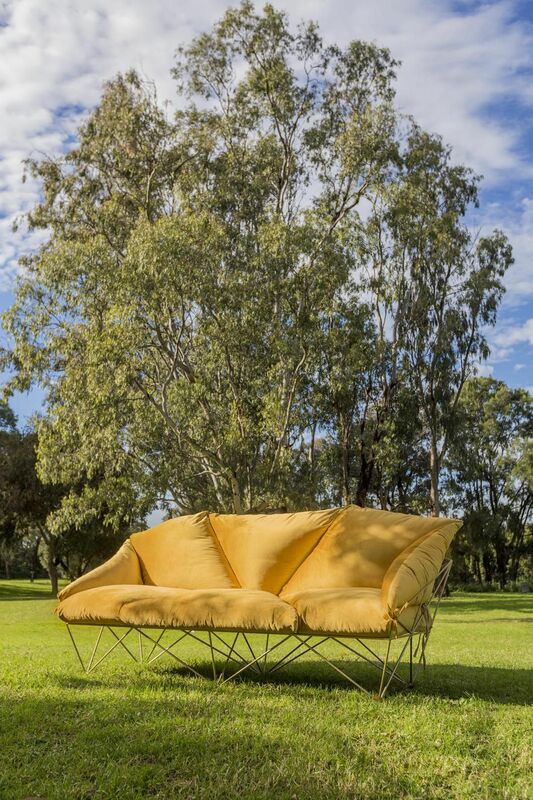 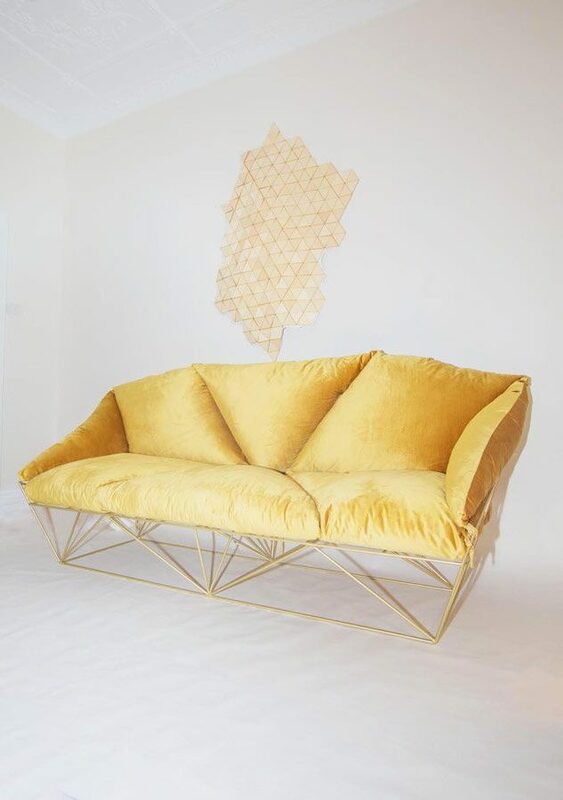 The purpose of this sofa is to have a minimalist structure supporting an abundant seating area – Playing with opposites and exploiting the art of paradox: a lounge made of steel and velvet. 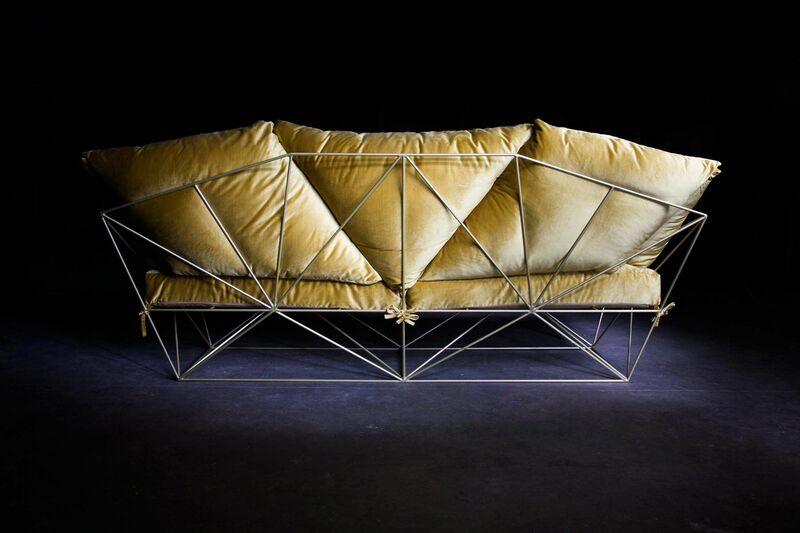 The light steel structure gives the impression that the couch is floating while the velvet fabric intensifies its presence in the space. 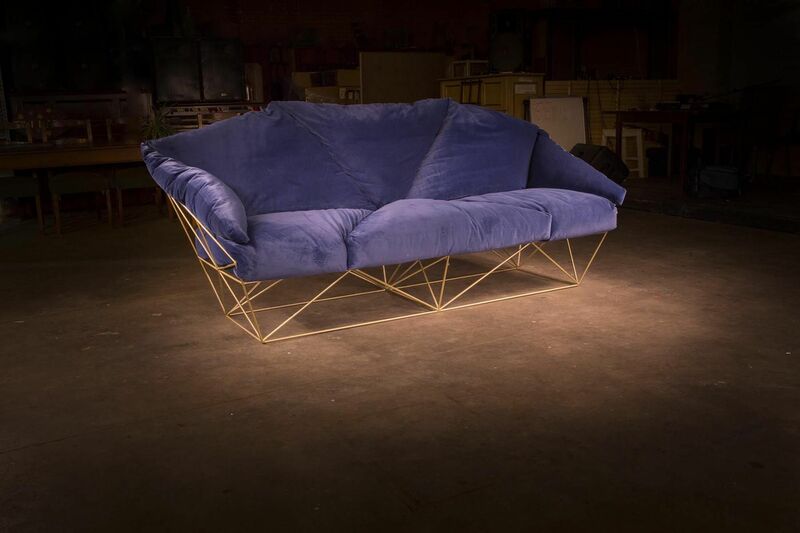 The metal structure and upholstered seating area are unified through their shared geometric language. 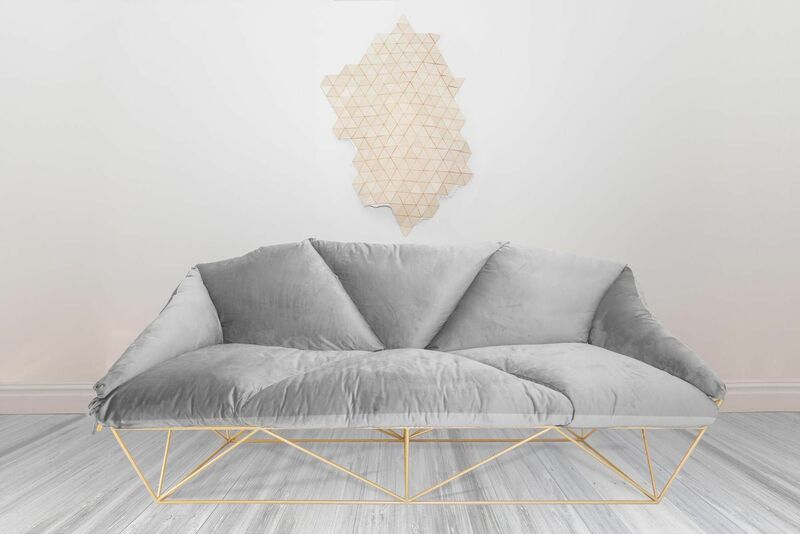 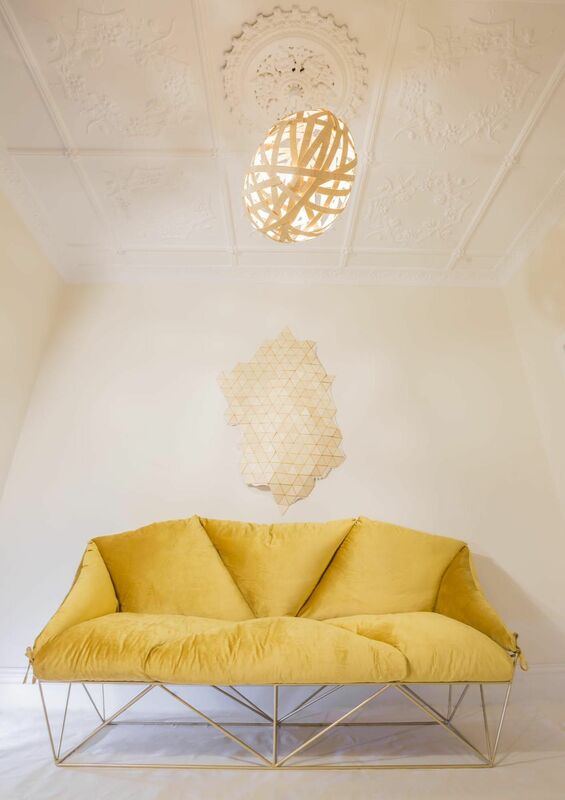 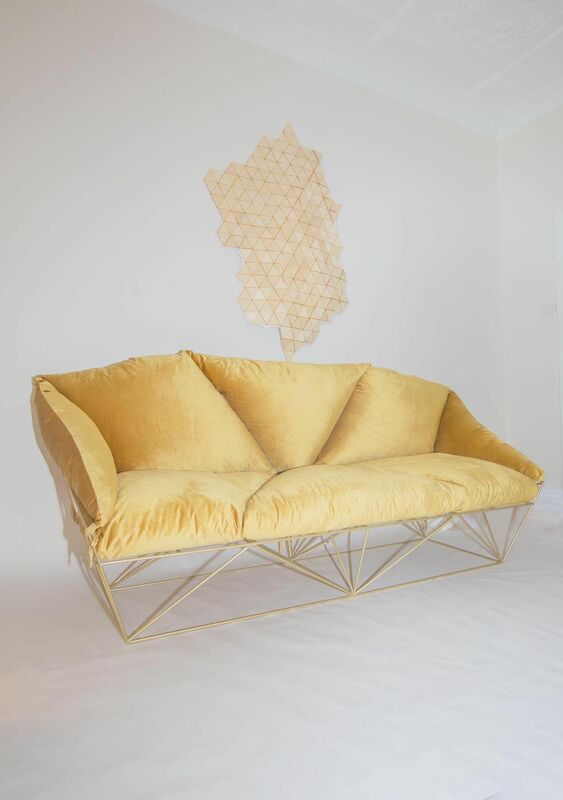 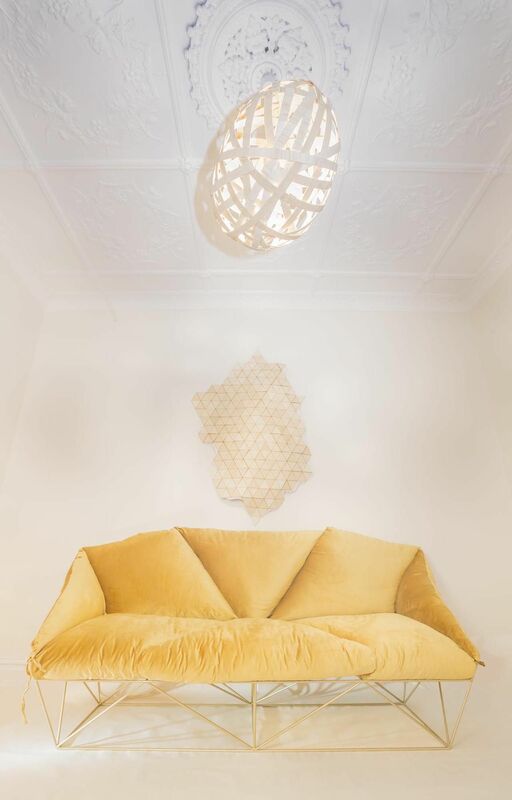 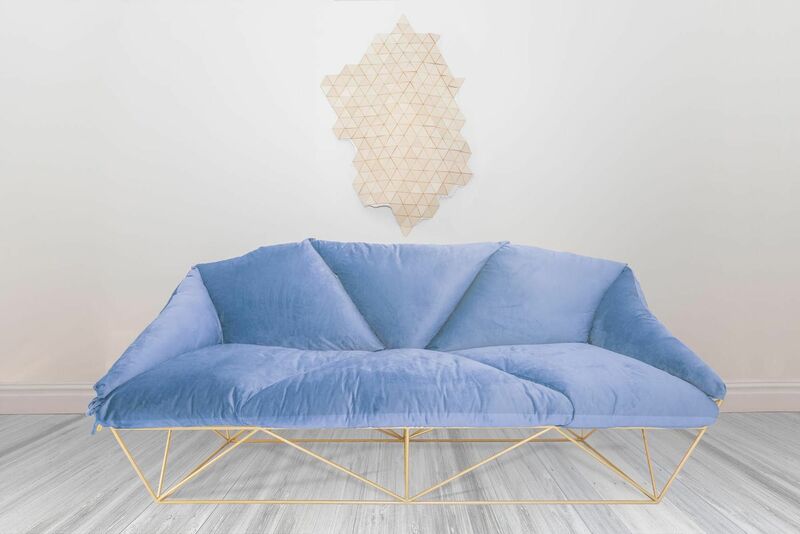 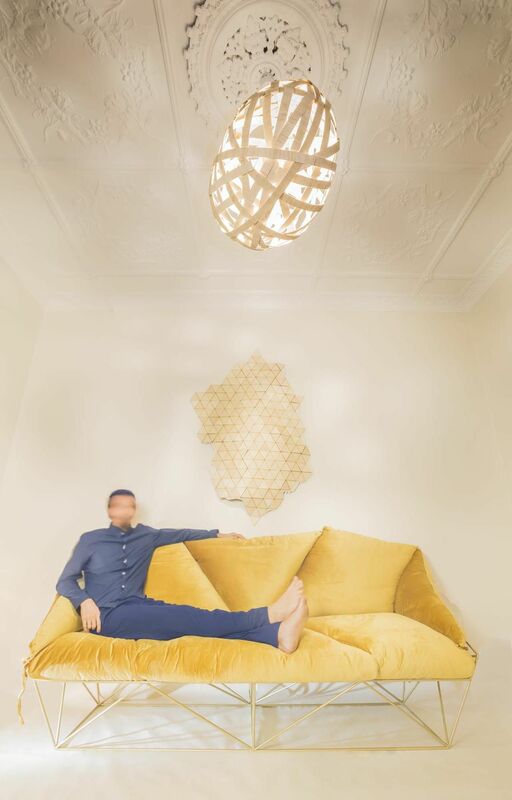 A supportive adaptable piece, the lounge’s filling is topped with a light layer of feathers to add extra comfort for the ultimate “sitting on a cloud” experience. 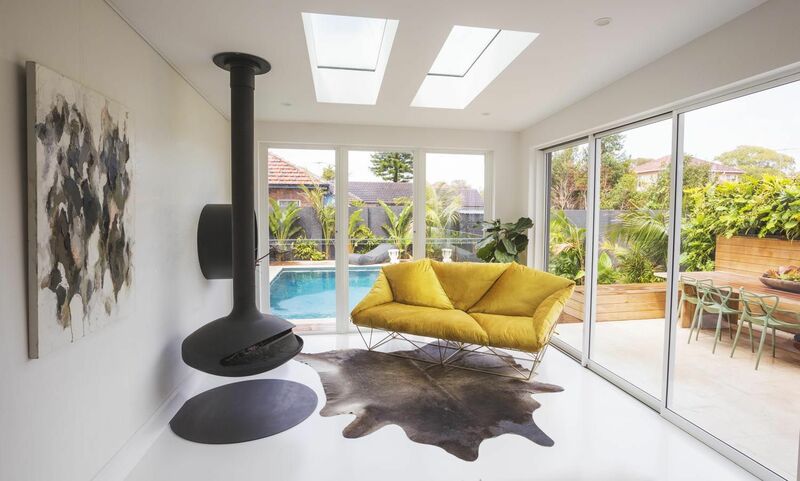 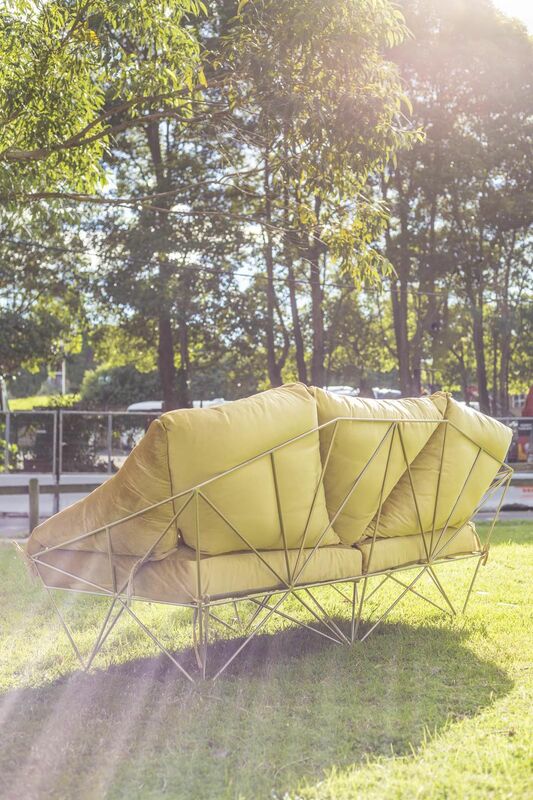 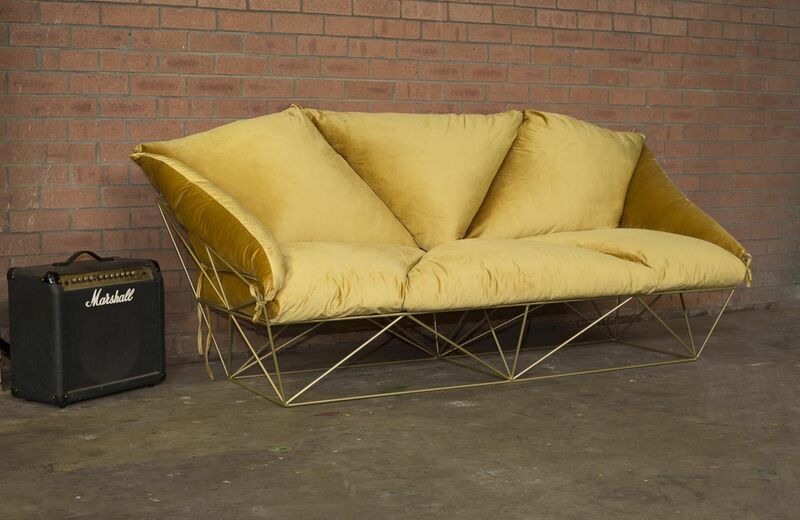 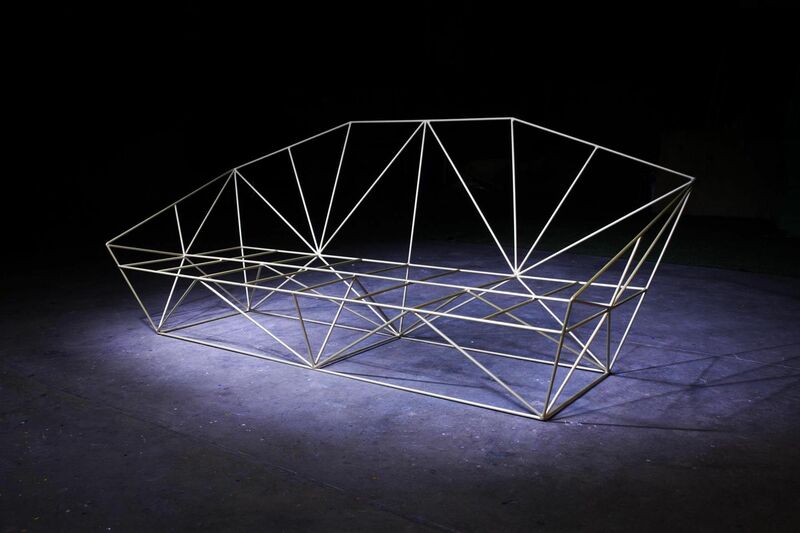 A large 3.5 seater – 2000 x 900 x 700mm.